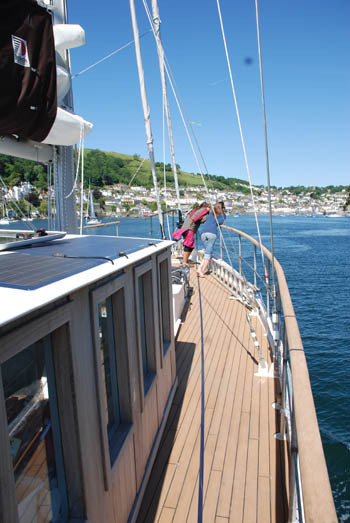 Ropes run under the deck, winches and sailing gear kept inside the Sailing Cockpit. 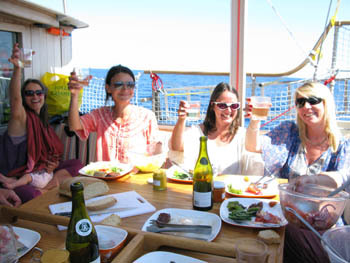 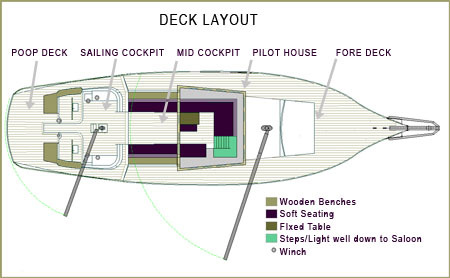 This means that you can safely use the large deck spaces for 'living', even while Calypso is under sail. 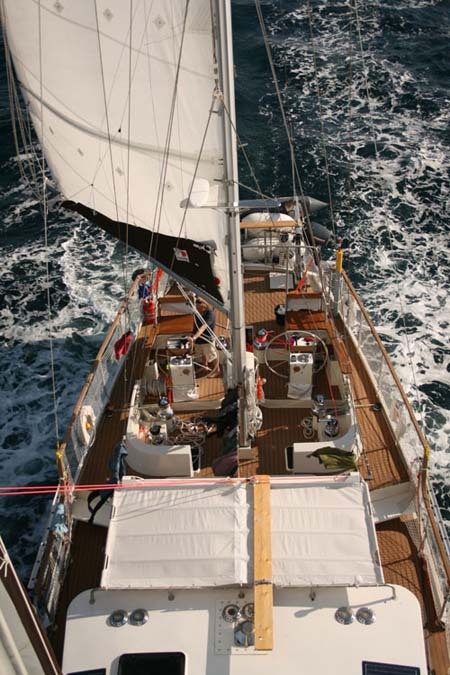 All ropes run under the deck; winches and sailing gear are kept inside the Sailing Cockpit. 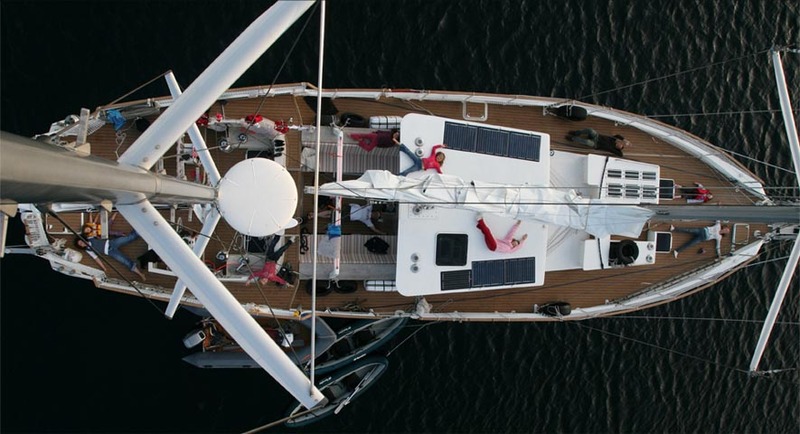 Booms are well above head height so you can safely move around on deck while under sail. 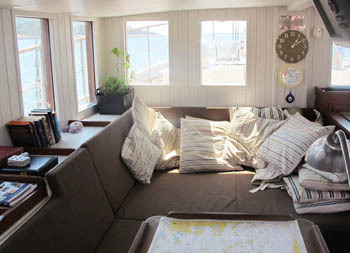 The Pilot House and Mid Cockpit immediately behind it provide a large space where you can enjoy the scenery while being sheltered from sun wind and sea spray. 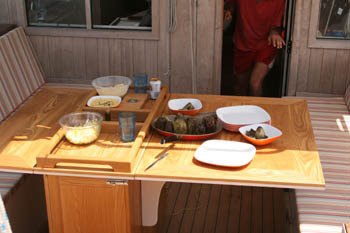 This area is used for alfresco eating and watching the stars after dinner. 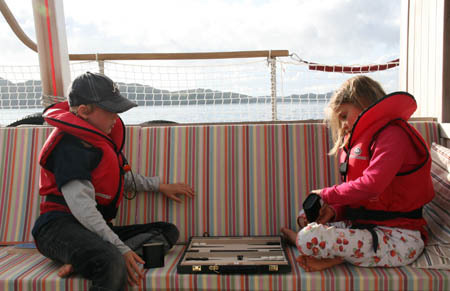 The wide side decks have a high rigid railing with child proof netting all the way around the boat. 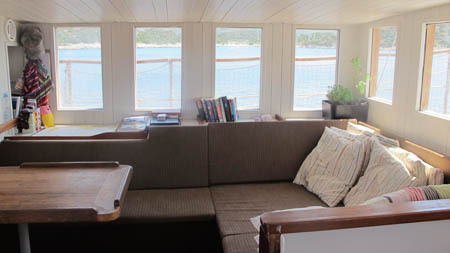 The Poop Deck (back) and Foredeck (front) are good places for sunbathing or just finding a quiet spot to read a book.